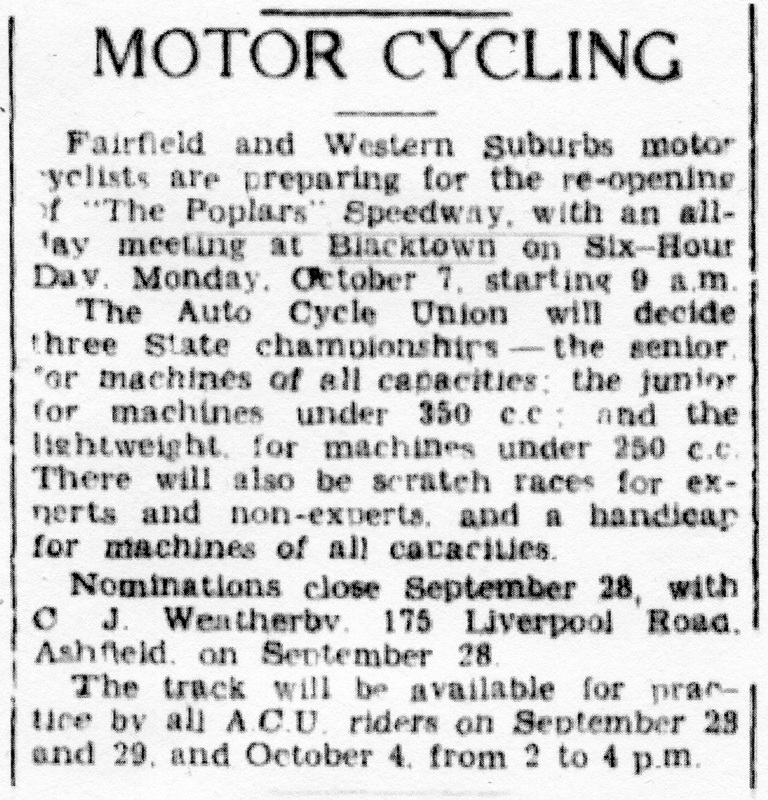 In 1937 the Western Suburbs Motor Cycle Club started holding Motorcycle TT racing events around the roads of Blacktown, This track was given the name the Poplars Circuit, It was located on the Prospect road about a quarter of a mile from Blackburn. 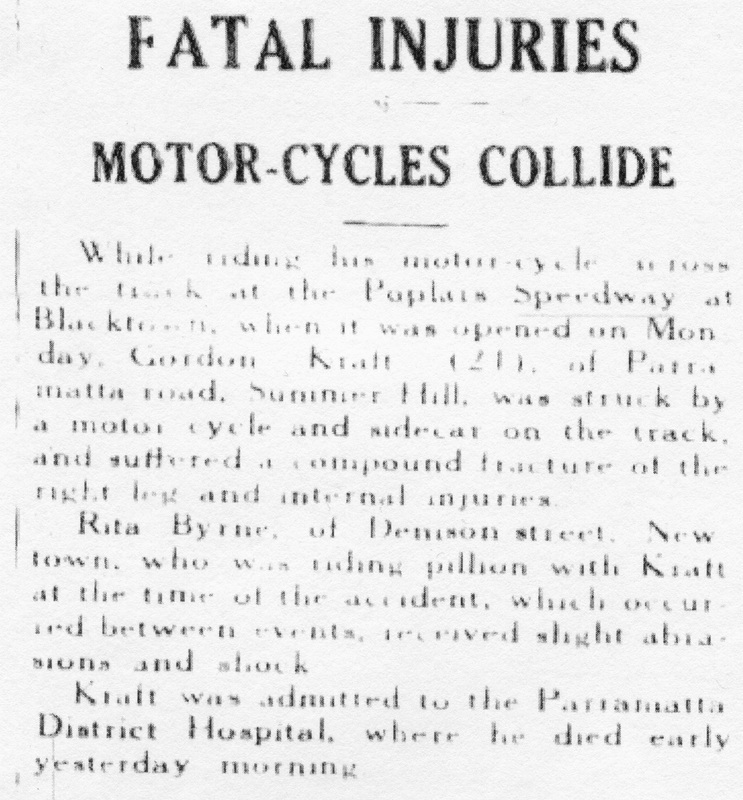 Sadly there was a fatality in the first year of operation when Gordon Kraft was killed when his motorcycle was hit by an outfit as he crossed the track. Intending competitors in the Western Suburbs, Motor Cycle Clubs Tourist trophy meeting at Blacktown on Monday are notified that competition tyre will not be permitted, but those of he semi-competition type may be used. The Poplars course is about half a mile on the Sydney side of Blackburn Station on the main road from Blackburn to Prospect. The first race will start at 9am. there will be cheap railway fares from Central Station and refreshments will be obtainable on the ground. The course will be open for practice on Saturday from 9am till 5pm. Les Slaughter 12 - Jack Forrest 3 - Sid Willis 6 at the Poplars circuit. Photo: Velobanjogent website.